This multi-part video series covers both right and left hand piano techniques that Chuck has used throughout his career. If you want to learn the fundamentals behind Chuck’s epic performances ranging from “Jessica” ( Allman Brothers) to “Honky Tonk Women” ( The Rolling Stones”) and everything in between, this series is the place to begin. The series covers left-hand stride and walking bass lines, and right-hand scales, chords and patterns based on blues, minor, major and pentatonic scales. All are fundamental elements of Chuck’s legendary style. 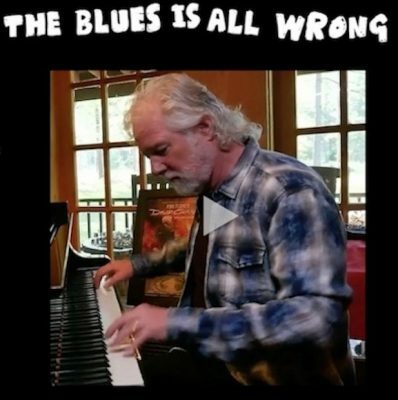 The series begins with an overview of the 8- bar blues form used in the recording, “The Blues is All Wrong”. The first half of the series teaches left-hand stride techniques and introduces elements that Chuck has learned from his early mentors, such as Dr. John and Ian Stewart, to spice up the standard stride pattern. Including leading with swung eighths, changing the bass note, and walking bass lines. The second half of the series teaches right hand scales, chords, shapes, and phrases. It covers outlining chords, strong and passing tones, thirds, sixths, triads, moving from tension to resolution and dominant 7th and 6th chords. The concepts are not difficult but you will learn how Chuck applies these musical elements to create his signature style. This series is for intermediate and advanced students. The series includes sheet music of all the techniques discussed.